Interior Features Brazilian cherry hardwood floors; custom kitchen cabinets; granite counter tops; wood burning fireplace; large picture window with views; master balcony. Exterior Features Metal roof with hurricane rating; heat pump; deck; views! 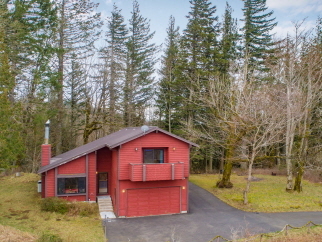 Additional Features and Amenities Minutes to Crown Point and the historic Columbia River Hwy!